So this is a bit off of my current focus on animal careers and animal training but in alignment with my passion for conservation. I found that I just had to comment on a clever conservation marketing strategy launched by the Center for Biological Diversity. Their intent is to have this project highlight the impact of human overpopulation on wildlife. Five people will win a lifetime condom supply of specially packaged condoms while 3,000 volunteers in the United States will distribute 100,000 free Endangered Species Condoms beginning on Valentine’s Day. You can visit their campaign focused website called, Endangered Species Condoms. The site will be dedicated to sharing how human overpopulation has a devastating impact on endangered species. and the spotted owl (“Wear a condom now, save the spotted owl”). All six species are listed as threatened or endangered by the U.S. Fish and Wildlife Service. We actually have the spotted owl living in the forest here near my home. I also hate the individually packaged products and those companies that insist on manufacturing tools and toys that break within a short time and that cannot be fixed or end up in the bin. It is a crime that more people don’t recycle or reuse–and where I live, people come up to enjoy the wilderness and dump their trash, toxic diapers, and other waste in the forest, in the lake, and on the lake shore. The Endangered Species Condoms will be distributed by volunteers in the United States beginning on Valentine’s Day and although they expected some volunteers, they were overwhelmed. So far it looks like they will distribute about 200,000 initially (the plan was 100,000 but they know they need more based on the response) and perhaps this will be a way to end up funding conservation projects. I hope they will give some away and then sell them commercially to raise funds on a continuous basis. I believe if they distributed them from the free birth control clinics it would also be helpful. Why not sell them? You can buy endangered species chocolate and other items already. 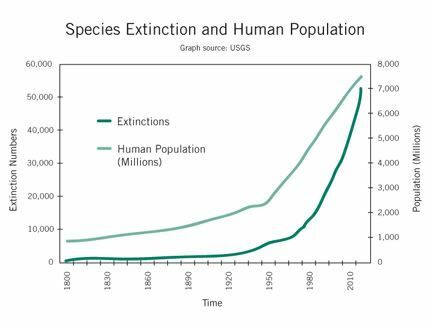 According to the Center for Biological Diversity, the human population stands at 6.8 billion and is projected to reach at least 9 billion by 2050. The current extinction rate is about 1,000 times the normal rate that has existed for hundreds of millions of years. The group is targeting the United States because it has the biggest population growth of any developed nation and because of the trends in consumerism that promotes high consumption levels. For more information information on how human overpopulation and growth is impacting climate change, global fisheries collapse, public lands, and the extinction crisis visit the Endangered Species Condoms website. 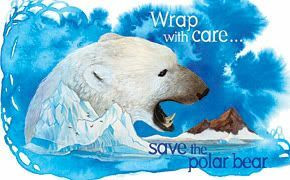 Polar Bear Condom Package Design donated by Lori Lieber. Artwork donated by the Endangered Species Print Project. © 2010. All rights reserved. Ha! What a clever idea. Yes, pretty clever but a weird sort of project!